Choosing a healthy, delicious food for your small breed doesn't have to be a big task. 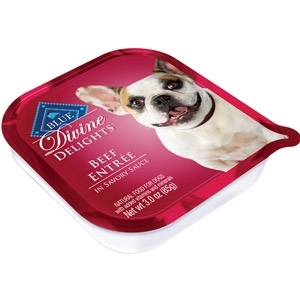 Just look to BLUE Divine Delights -- it's a nutritious meal in convenient single-serving portions with a taste your little one will go crazy for. And since it's BLUE, you know he's getting only the finest natural ingredients and never anything artificial. 3 oz.